Our dietetic service is led by resident dietitian Michelle Bremang with support from her bank dietitian colleagues. Our Dietitians are registered with the Health Care & Professions Council (HCPC) as well as their professional body, The British Dietetic Association (BDA). Dietitians and the only nutrition professionals to be regulated by law, and governed by a professional code of conduct to ensure that high quality and comprehensive treatment is provided to all patients under their care. 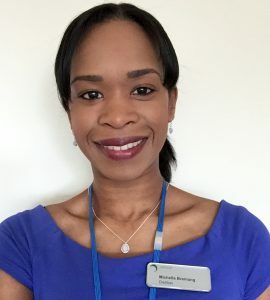 Michelle joined us as resident Dietitian in early March 2016 and leads the dietetic service offered to both patients at Parkside Hospital and Cancer Centre London. 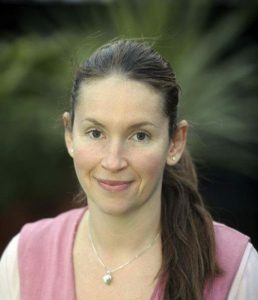 Having qualified from King’s College London in 2003 with a BSc Hons degree in Nutr ition, Michelle went on to complete a Master’s degree in Dietetics at King’s College London and qualified in 2006. Prior to joining us, Michelle worked primarily within the NHS, where she gained over 10 years’ clinical experience working across a number of specialities including Gastroenterology, Oncology, Cardiology, Weight Management, Nutritional support, Women’s Health, Neurology and many more. She is passionate about supporting her patients to reach their goals, whether that be preparing for, and recovering from surgical procedures, dealing with the effects of treatment, or optimising general health and wellbeing. Christina joined the bank Dietetic service in November 2016 to help support the care of patients at Parkside Hospital and Cancer Centre London. Christina qualified as a Dietitian from King’s College London and has gained over 15 years clinical experience working with patients in both NHS and Private sectors. She has specialised in many areas of nutrition and dietetics including nutritional support, weight management, heart health and diabetes. Christina enjoys working closely with consultants and the wider multidisciplinary team, to provide evidence based nutritional advice tailored to specific medical conditions whilst taking into account a an individual’s goals and lifestyle. Cecilia joined the bank Dietitian service in Summer 2018 to help support the care of patients at Parkside Hospital and Cancer Centre London. Cecilia qualified from the North West University in 2008 and has gained 10 years experience in both NHS and private sectors, specialising in various fields such as Oncology, Diabetes, Gastroenterology, Neurology, Nutrition Support, Mental Health and Obesity. 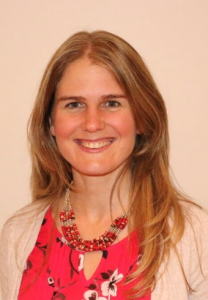 Cecilia has been trained in the low FODMAP diet at King’s College London and is a member of the Gastroenterology, Neurology and Mental Health specialist groups of the British Dietetic Association. She enjoys using a holistic approach to guide her clients through their dietary and lifestyle changes with the aim of achieving real and lasting results, or symptom control from dietary related conditions. What type of treatments do dietitians offer? With increasing awareness of the role of diet and nutrition in the maintenance of optimal health and disease prevention, more people are taking an interest in their personal health and wellbeing goals. Although there is a wealth of nutritional information available via the media, unfortunately not all of the information available is based on good scientific evidence, which makes it difficult for people to know the best choice of treatment. Dietitians have both the professional knowledge and skills to help translate evidence based clinical research into practical guidance, to enable you to make positive diet and lifestyle choices to help improve your health and wellbeing and support the treatment of a range of medical conditions. Consultations take a patient-centred approach, where advice regarding nutrition and lifestyle goals is discussed with you, relevant to your individual clinical needs. Alternatively, you may complete the self-referral form here. Telephone consultantions can also be arranged for those unable to attend clinic. Depending on your dietary requirements/ condition, you may be asked to complete a 3-day food diary to bring along with you to your clinic appointment. Please note that for certain conditions, your GP or Consultant may be contacted before or after your consultation. This is to ensure that they are aware of the advice given, and to make sure we have all the information required to provide the highest standard of care. Before your appointment please ensure you print off the ‘3 Day Food Diary’ in the right hand column, complete it and bring it with you to your appointment.